1. Why People prefer solid timber flooring? Hardwood timber flooring quality are recognized by most of clients.People tend to choose the quality one based on their first impression as they think solid wooden floor is better than other engineered flooring or timber laminate flooring.This type flooring is installed often with plywood subfloor system or hardwood joist system.When come to installation ,stapling or nailing tools are needed. 2. 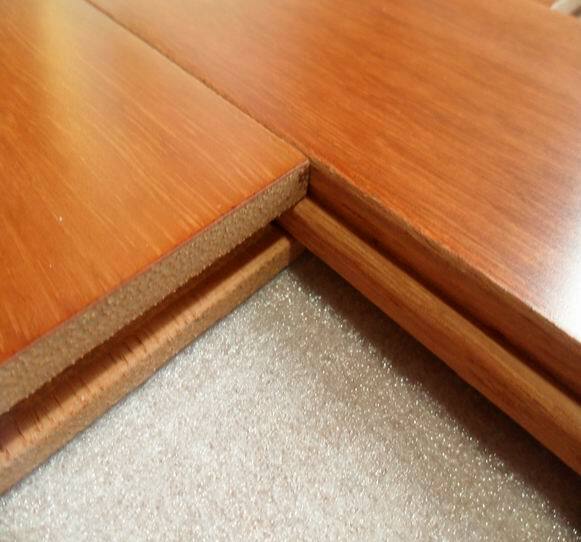 How thick a solid timber floor board should be? 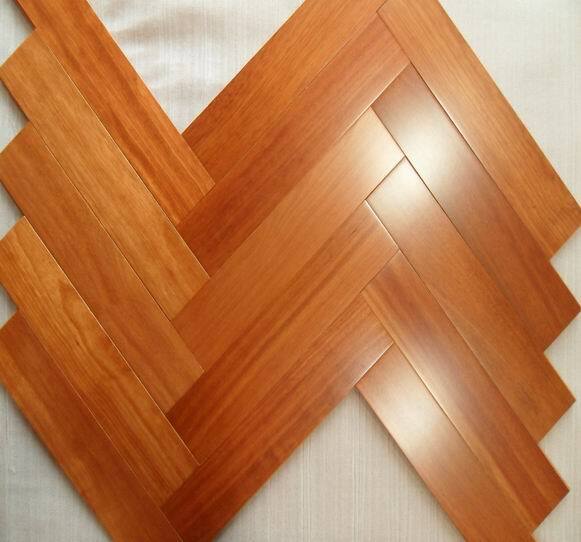 In the market of China,hardwood timber flooring often comes with 18mm in thickness,which is a standard size already in the market.Thinner solid wood also exsit in other market. In Europe 12mm,15mm,21mm solid wood board are stdandard,thinner ones surely with lower cost.If you are looking for a more traditional look hardwood,19mm thickness timber floors with better in length 300-1500mm.While in the market of China,450mm,610mm,910mm solid in length become standard.Most exporters supply longer ones in random as well. Traditionally or Bulk quantity manuafacturers supply both prefinished and unfinished hardwood flooring in random length,take the standard in China for example,starts from 300mm,1800mm longest could be reached.In whole batch of hardwood,lower grade comes with more shorter ones.Some manufactuers are capable to supply regular long length boards if custome-made in advance,but usually more costive as a few short offcut hardwood will be thrown off.Moving on to thinner hardwoods,300-1800mm length could also be reached,however more shorter ones will be mixed in a whole batch of goods.If you really want to find all in satisfied length hardwood in big quantity,you must try to find a right source places from the wood origin areas. 4. How wide a piece of timber floor is? Generally the width of a solid hardwood flooring in a range of 60-125mm.When the width of a board below 93mm ,we would call it strip timber floooring,such as 60mm,75mm,which are commonly seen in the market of China.Currently most of big prefinished hardwood flooring supplier in China offer 93mm,123mm as standard.While some small manufactuers will take some shorter and narrow wood in 75mm width to produce non standard size parquet flooring. 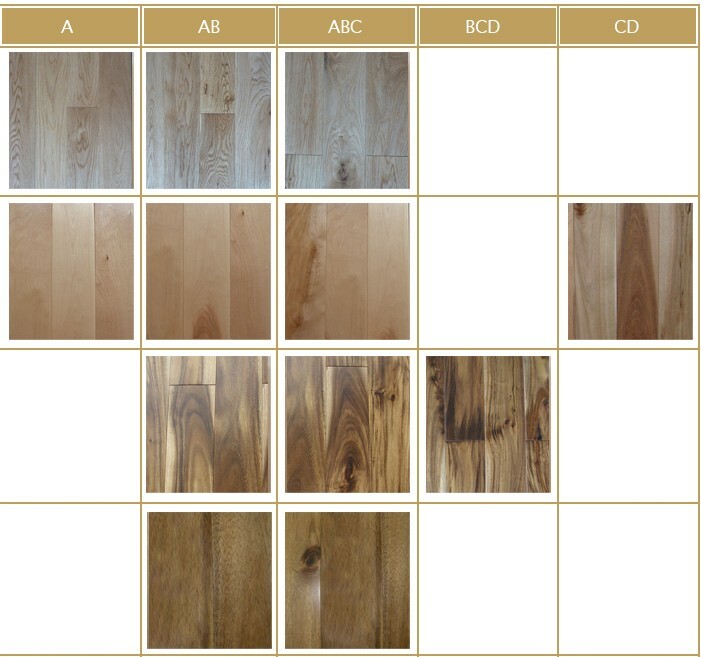 Timber floor Grade is specified clearly when deal with exporting business.Different countries different preference on the flooring Grades.For example ABC Grade hardwood is widely accepted in US market.Natural wood knots,small splints,color different etc will be recognized as natural beauty of wood.While in the market of China,90% clients has no tolerence on BC grade wood, they think it is ugly.Therefore,when a manufatuer concentrate more on domestic sales,selected grade timber is always their first choice despite it's high cost.